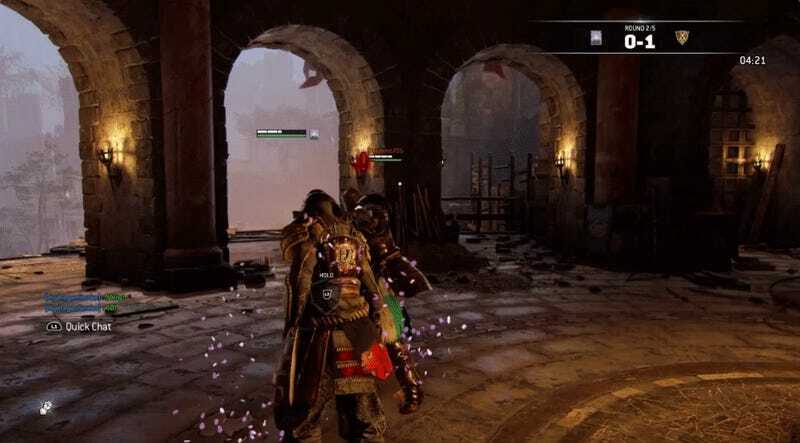 For Honor’s emotes give players a chance to be flashy during their duels, even if the new ones are a bit expensive. It turns out that emotes have a bit more use that simply taunting opponents. User TheRealCrayfish took to Reddit to show off some sick emote dodging skills. Using the Berserker, they leap right over an allied Conquerer’s mace with expert timing. The emote in question is “Flip Out” and costs 3,000 steel to unlock. It’s a jaw dropping bit of hitbox magic that shows off just how precisely the game judges valid attacks. When the game’s laggy connection is behaving, at least. As you might imagine, emote dodging is not an easy task. Between how slow some of the emotes take to animate and the general randomness of human opponents, you have to be extremely lucky for it to happen. Mostly, you’ll just get smacked around or tossed off bridges once the enemy is tired of your shenanigans. 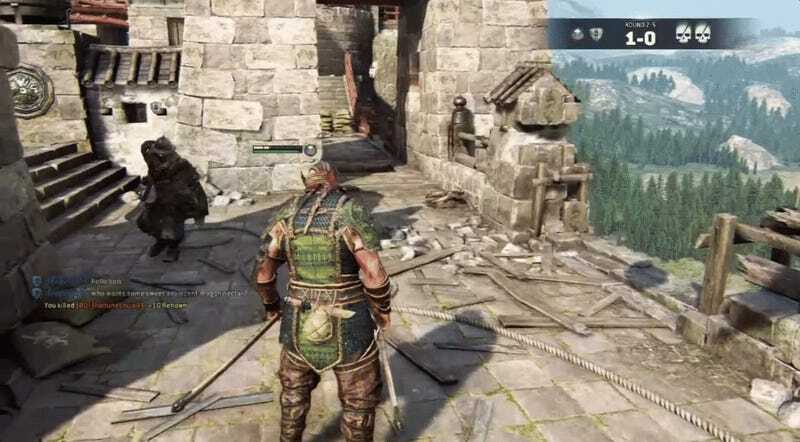 We’re probably not going to enter into a new meta-game of high level emote ninja dodging any time soon but I am holding out hope for the occasional game of Lawbringer limbo.